On April 18, the Goethe-Institut held a workshop lectured by Karin Rottmann, deputy director of Museumsdienst Cologne, with museums curators and art representatives of Metro Manila to exchange ideas on the future of museums at the Vargas Museum. The Goethe-Institut in Southeast Asia, located in Bangkok, Hanoi, Jakarta, Kuala Lumpur, Manila, Singapore, as well as in Yangon has initiated a long-term cultural exchange with museums of the region to both strengthen partnership and stressing cultural importance. Ms. Rottmann discussed with Curators from the Southeast Asian region the topic of whether museums have a future in the first place, how they have to look like and how they have to be structured to maintain their future. 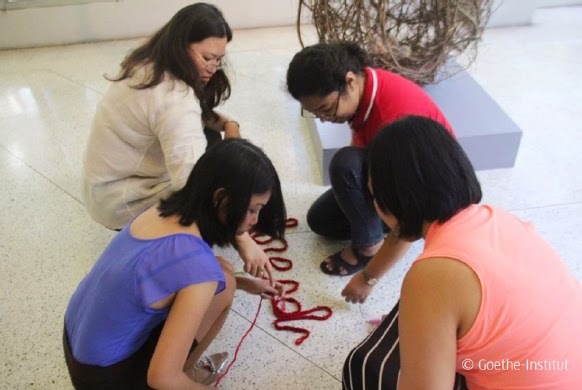 Museum experts and curators from the Metropolitan Museum, the Museum of Contemporary Art and Design as well as the Ayala Museum were on hand during the workshop, which saw an exchange of ideas on how maintain the importance of museums in the society. Ms. Rottmann also visited several museums in Metro Manila, including the Yuchengco Museum to get a first glimpse how museums are structured and how they look like in the Philippines.